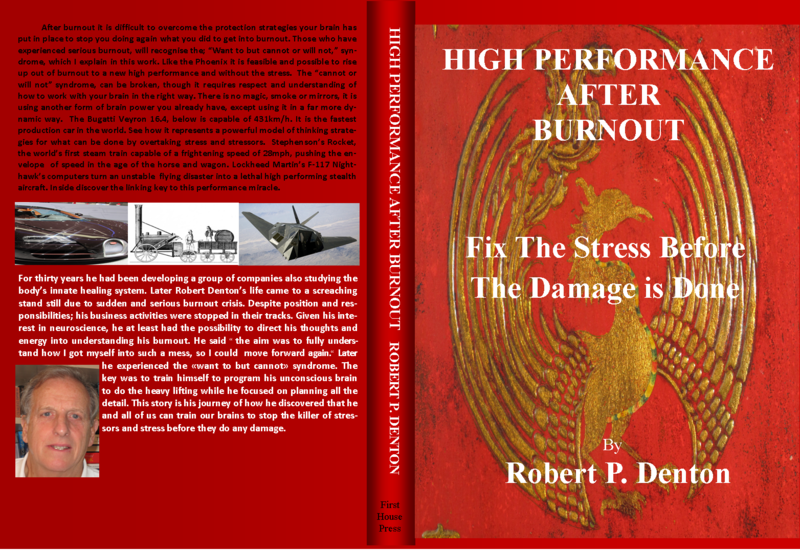 Within my book High Performance after Burnout and Will the Real Healer Please Stand Up, available at amazon.com – I write from solid personal experience in addition to extensive study about the power of the mind both conscious and subconscious. While the conscious mind seems to be our great favourite working tool, all too often it takes our thoughts and actions in all sort of directions that may be good and then again can get us into so much trouble via our belief and values that do not always serve us well. This is not so of our subconscious or as some prefer, our unconscious mind and its intelligence. The subconscious mind does not know what fiction or limiting behaviours are, it only understands truth and one truth. High performance is invariably out of our subconscious mind or brain. Intuitive and telepathic intelligence are examples of subconscious intelligence. These parts of our brain power produce spontaneous high performance in that anything we do guided by these centres of intelligence is invariably perfect, therefore high performance. Much to many people’s surprise, any high performance whether planned or spontaneous is easy and stress free. This is because it is out of the immense power of the subconscious brain. This is not the case for conscious mind performance, which is so often working in the hardest way possible and invariable against the subconscious brain and its so superior intelligence. This is why conscious performance may work but usually fraught with stress. ← What is The Connection between Neuroscience and Support Healing?